SSB Bank's upcoming "Shop For A Cause" event was recently featured on TribLive.com. SSB Bank will be hosting an event called Shop for a Cause: Ladies Night Out Benefiting HEARTH. 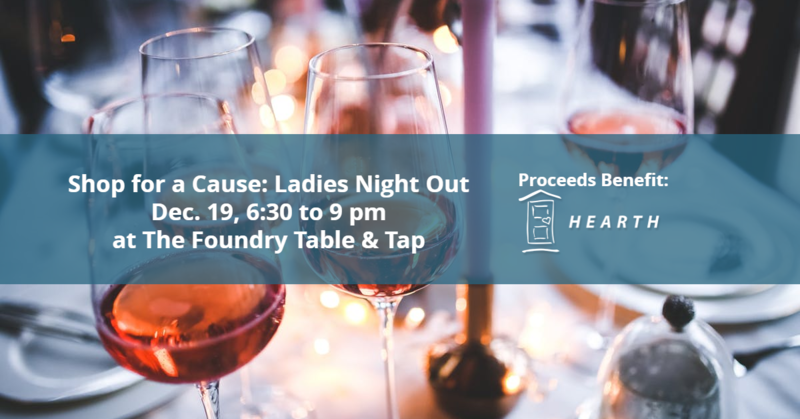 We invite you to join us from 6:30 to 9 p.m. on Wednesday, Dec. 19 at the Foundry Table & Tap in the North Shore. Not only is the event a great opportunity to unwind and get some of your holiday shopping done, but it also serves a bigger purpose: giving back to the community. Proceeds from the event benefit HEARTH, an organization SSB partners with to support women overcoming trauma and experiencing homelessness. We hope you will join us for a night of cheer and charity!